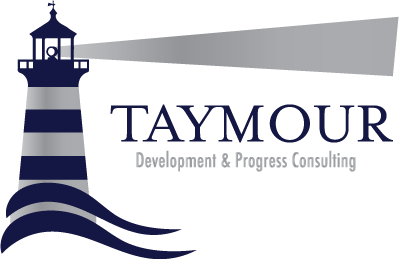 You Are What You Believe « Taymour Consulting Ltd. Phrases such as: “I’m horrible at maths”, “I never win anything” or “I’m a horrible dancer” may sound trivial, but if repeated enough, evolve into a belief, then a behaviour. So one will grow to be convinced that they cannot add, and avoid balancing their cheque books, or never even consider dancing because they’re afraid of embarrassing themselves. There is absolutely nothing wrong with believing in a variety of things. Some believe in God, others don’t, some believe in vegetarianism, others don’t. After all, it is a free world, and we have the right to live our lives as we wish. The issue that needs to be examined here is not beliefs in general, but beliefs that limit the human ability and nurture fear within the minds of very capable people out there. This is where a belief becomes a limiting belief, and only then prevents individuals from maximising their potential in order to achieve their goals. What we choose to believe about the world and ourselves determines the quality of life we have. Our beliefs dictate how well we perform, interact, grow our businesses and spot opportunities. Ironically, what we believe has a greater affect on us than the truths that surround us. Unfortunately, we also tend to take on board other people’s beliefs such as relatives, friends, colleagues at work, not to mention the media with what it tactfully feeds us through their catchy headlines and Hollywood like news reporting. The truth has almost become veiled in layers of opinion that we no longer see clearly. The truth of the matter is that we are all amazing creatures with infinite potential that’s just aching to come out. Sadly, most of the time our limiting beliefs prevent that side from flourishing and growing. I recently had a client who was convinced that he would not be considered for the upcoming promotion at the company he worked for because of his ethnic background. After careful probing, he admitted that he acquired this limiting belief from his much older father who was naturally of a different generation. As soon as he let go of this belief, his eyes lit up, his posture improved and came to realise that he had exactly what this upcoming position required – if not more ! When it was time for his appraisal, he presented a side no one in the office had ever seen. A side that demonstrated vision, ambition, determination and confidence. Much to his surprise at the end, he was promoted to this senior position and is now a much freer individual who accesses his vast potential on a daily bases. The internal representation of the outside world we make to ourselves is greatly influenced by our beliefs. Our limiting beliefs are just like filters that disallow opportunities and positive signals from the world around us to penetrate our minds and expose us to the wonders around. And before we know it, we’re missing out on so much that we could be benefiting from, or acting on. Most of the time, our greatest fear is failure. We tend to believe that we will fail at something even if there is no evidence to back that up. When Christopher Columbus set sail for the other side – did he fear failure? When Mahatma Ghandi stood against the biggest empire of that time, did he fear failure? The answer to both questions is an obvious NO. What kept them going is their beliefs. Their main objective was to achieve what they believed in. No soul on earth could have altered their faith in themselves, nor could anyone discourage them from their path. Failure to them was non existent. Let’s look at that statement for a second – failure to them was non existent. Perhaps that is true, after all what is failure other than a bad result that you’d avoid on the next attempt. People generally try doing something once, twice maybe even three times then quit. Perseverance and determination are what make dreams come true, in other words the belief in ourselves. Would have Alexander the great ploughed into the east and west to expand his empire if he didn’t believe in his vision? Clearly not. Naturally, it is all a matter of perspective, it is how we view the world around us. Reality is a rather funny thing. There never really is one reality, but a variety of them that simultaneously exist together. Let’s look at a well known city such as London for a minute. Some may say it’s a very cruel and lonely city with rude people, some may say that it’s a very cultured and historically rich city with lots to offer. Some may say that it’s a filthy crime infested city with poor air quality, and others may say it’s the most happening city in the world with one of the biggest financial markets on this globe – opportunities are everywhere! Every statement can be true, or real, but it simply is a matter of perspective. The key is to focus on the perspective that can help you achieve the right attitude in order to move forward in what you wish to do. If I want to start my own business in London, and then begin feeding my mind language that depresses me about the people around me, the crime rate and pollution – I’ll probably not go very far with my goals. On the other hand, if I was to focus on what huge potential I am surrounded by, not to mention the purchasing power of the market around me – I will be far more determined and eager to achieve the success level I want. This brings us back to whether the glass is half empty or half full. Research has proven to us that the key to success comes down to attitude. This reminds me of something Thomas Jefferson once said: ” Nothing can stop a man [or Woman] with the right mental attitude from achieving his goal ; nothing on earth can help a man [or Woman] with the wrong mental attitude”. How many successful achievers do you know of out there who made it through doubt, fear, negativity or limiting beliefs that ignite self-sabotage? Attitude is the result of your beliefs, so if you believe you’re a loser who’s going to fall flat on his face every time you decide to achieve anything – you probably will. We determine the result in our minds before we even take the first step. When I asked a client of mine once how he painted so well, he simply said “I see it in my mind clearly, then I allow my hand to be the vessel of transport that brings out what I see in my mind”. This is a similar analogy to what most successful people have said throughout history. They tend to visualise what exactly it is they want and maintain strong focus on their goal as they jump every hurdle along the way. Even if they fall over and over again, the determination fuelled by both attitude and self-belief keeps them on their path until they achieve their desired goal. Another way to look at this is to imagine a flight that has just left Heathrow airport for New York. Along the way it will face high pressure weather patches, stormy clouds and other aircrafts in its path; but in order to reach it’s destination successfully it constantly adjusts its course and altitude to reach New York with ease. The same applies to achieving success. Flexibility is a key ingredient that must be practiced in order to overcome obstacles and dodge mishaps along the way. As Confucius once said: “Our greatest glory is not in never falling but in rising every time we fall”. Achiever everywhere have had to fall a number of times before they completed what they were out to do. Falls or bad results are simply lessons that teach us what does not work, it is vital to be flexible enough and learn from them rather than get discouraged. Refining your external dialogue with people around you is not enough, it is paramount that you clean the language you feed yourself in order to shift your beliefs. Beliefs come to exist because we have habitually repeated a thought, statement or perspective to ourselves over and over again. After all, we’re all creatures of habit and we stick to the familiar even if it’s hurting us and preventing us from moving ahead. Before we know it we have unconsciously conditioned our thinking. However we reach a point of breakthrough in our lives when we realise that our way of life is actually harming us, and limiting us. It is at this moment of breakthrough that we consciously decide to alter out path. When a battered wife runs out of her marriage and never looks back, or when a heavy smoker throwers their pack in the bin and never touches another cigarette are both clear evidence that when we take a dedicated conscious decision to change, we override the programming we have done for years. This re-programming does not require an astronomical amount of effort, just a small shift that takes places within our belief system. This shift is similar to the small switches in a huge shipping tanker that leaves Portsmouth for Miami. Once the small switches in the control room are moved ever so slightly, the destination will shift to Venezuela. The pre-requisite to identifying one’s limiting belief successfully is honesty with one’s self. To begin with ask yourself what it is you wish to achieve, in other words what’s your goal? It could be anything, whether losing a stone, starting your own business or meeting your targets at your sales job. Write down your goal on a clean sheet of paper. Look at what you’ve written, make sure it’s a realistic goal. What I mean by realistic is that if you’re a restaurant manager today, and your goal is to buy a Beverly Hills mansion in 12 months – chances are you won’t achieve that unless you win the lottery. Keep it realistic and doable. Next, ask yourself the following questions and answer after careful processing and honesty with yourself. 1) What’s stopping me from achieving this goal ? 2) Where did this belief come from ? 3) Who gave you this belief ? 4) How do you feel about that person? Do you regard them highly and respect them? 5) What does this belief do for you? 6) What is this belief costing you? 7) How will your life be different if you were to let go of this limiting belief? 8) What concrete evidence do you have to back this belief ? 9) What is the positive intention behind keeping this limiting belief ? 10) How else can you satisfy this positive intention without relying on this limiting belief ? These 10 questions are designed to help identify limiting beliefs and their roots to help you gain the clarity you need in order to understand how you’ve come to believe what you do. Just because we’re hearing about terrorism on the media more than ever before, some people unconsciously have started to believe that all Muslims are evil terrorists. The simple reason behind this is that our minds tend to generalise circumstances in order to process situations better. We hear and see things on a daily bases that bombard our unconscious mind with new information. In order to successfully process such a vast amount of new information the unconscious mind generalizes, distorts and deletes some of that in order to process it more efficiently. I was recently in a restaurant with a client of mine, and Tom Cruise walked in with some friends. My client turned around and commented on his vertically challenged stature. I smiled and recalled that our unconscious mind distorts a lot of the information it receives. Tom has always been this height throughout his career, we just see him bigger than his true size. We also delete and leave out a lot of information. A person may give you directions to a destination and leave out many pieces of information that another person might include, and vice versa. Since this is how our mind works, it is important to make a conscious effort and look at things with new perspectives in order to make the most of our world. So, just because we unsuccessfully attempted a task or goal once, and we felt emotionally bad about it, our mind generalises this experience by associating pain with it. Naturally, we start to avoid a second, third or fourth attempt because we believe that we won’t succeed at it. We believe this because of how our minds work. It is at this point that we need to challenge ourselves and eliminate failure from our vocabulary. As mentioned earlier, it is a matter of perspective and in order to learn helpful lessons we must look at successful people and see how they overcame the hurdles they faced. They merely saw setbacks as lesson, and not failure. As Richard Branson once said: “ I have learned more from my failures that my successes”. It is crucial that we persevere with determination and gusto and not doubt ourselves. Self-belief must come from within, and it can only be achieved once you cleanse your self from the limiting beliefs you’ve piled on over the years.